Together, the artists' work will fill about 90,000 square feet if new space. These galleries will bring Mass MoCA's exhibition areas to roughly 260,000 square feet after the renovations announced last summer, with the help of $25.4 million in state funds. Mass MoCA will then rank among the largest art museums in the country, just shy of the gallery space at the Los Angeles County Museum of Art. The long-term pacts he has devised — sometimes structured as cost-shares, allowing Mass MoCA to expand at minimal expense — are unusual for art museums, which more typically borrow collections for short-term exhibitions. "These partnerships come from the opportunities created by the space," said Michael Govan, who worked on Mass MoCA in the 1980s, when it was just an idea, and is now director of the Los Angeles County Museum of Art. "Most museums are looking to expand, or they are expanding." Mass MoCA "could be a model for communities that are willing to invest in space," he added. "There are a lot of collections out there in storage." And there are a lot of artists who would like to fill space. "If you go there and see the Sol LeWitt installation, you'll understand how meaningful it can be," said Mr. Turrell, who works with light. He will have 35,000 square feet at Mass MoCA — as much as he had at his recent 10-month retrospective at the Los Angeles County Museum of Art — for 25 years. 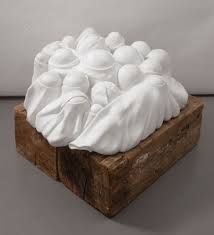 In it he will place nine or 10 works, including several borrowed from his family and from the Guggenheim Museum. 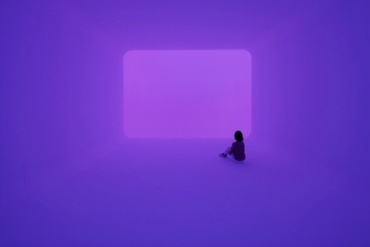 Mr. Turrell is also creating a two-story version of his Ganzfeld works — an immersive light field that challenges visitors' depth perceptions — and he will turn a water tank into one of his "skyspaces." As his part of the deal, he plans to donate one or two works. The Rauschenberg Foundation will use its 20,000 square feet to show some of Robert Rauschenberg's monumental works, including "Synapsis Shuffle," a 52-panel piece from 1999 with painted passages and photographic images that he intended viewers to shuffle like a deck of cards, reassembling the sequence. It will also exhibit works by artists who have had residencies at Rauschenberg's former home in Captiva, Fla.; and it will invite scholars from the Williams College/Clark Art Institute art history program to curate exhibitions of his pieces and art by others to provide a "new view" of Rauschenberg's works. "We don't want to build a Robert Rauschenberg museum," said Christy MacLear, executive director of the foundation, which has been placing the artist's works in museums around the country. She said the financial details remain to be defined, but added, "We'll support the programs."